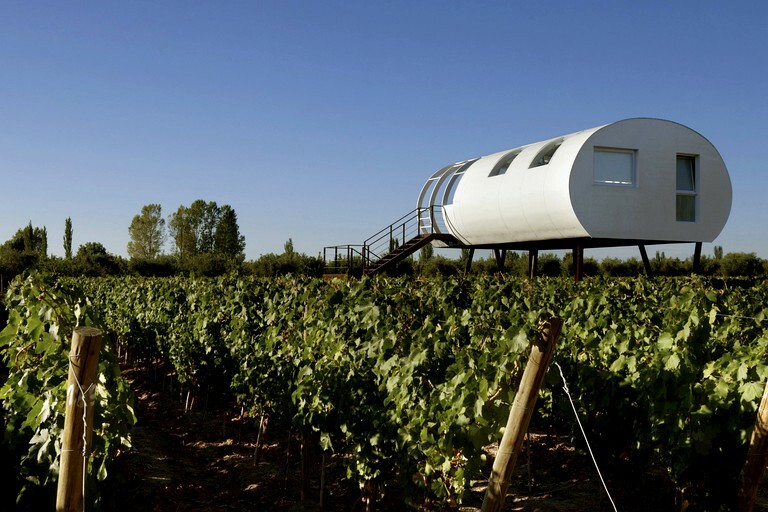 Glampers can experience a stay like no other at this stilted pod near Mendoza. 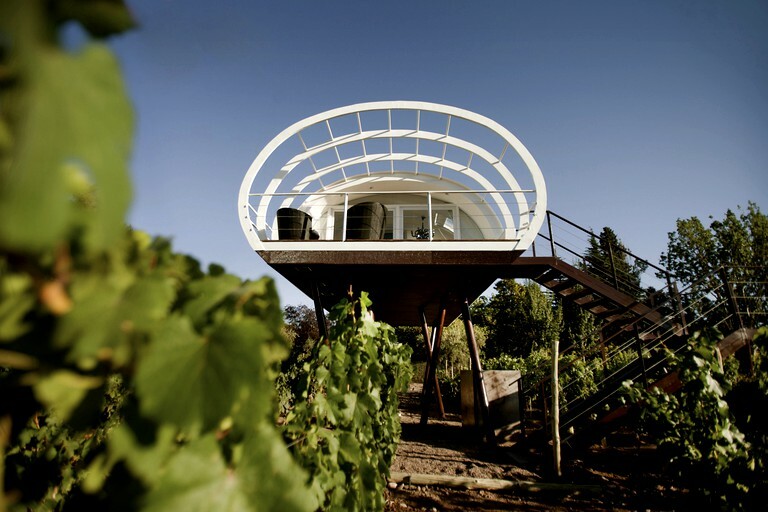 It floats in the air above the vines of the on-site winery producing exquisite Argentine Malbecs, offering a cocoon nestling guests between land and sky. 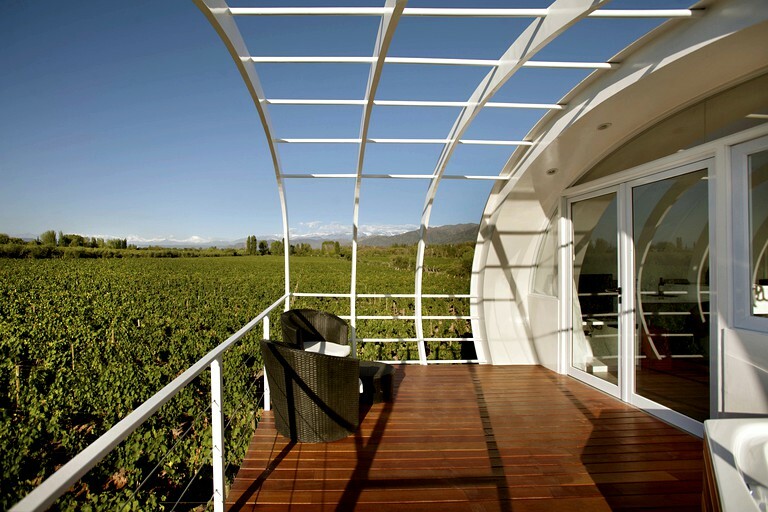 There is a bathtub on the terrace with views of the Andes, and a window in the roof promising guests stargazing in the clear skies of Argentina's west. 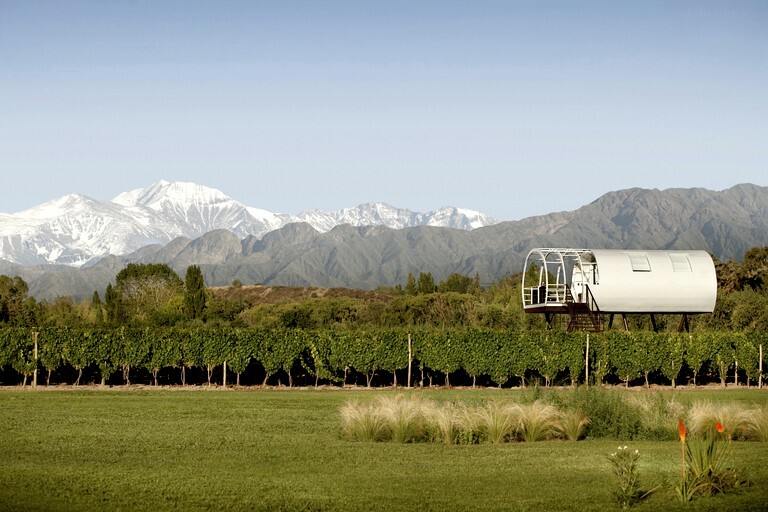 There are 16 uniquely-designed suites to select from while glamping at this site in Mendoza, Argentina. 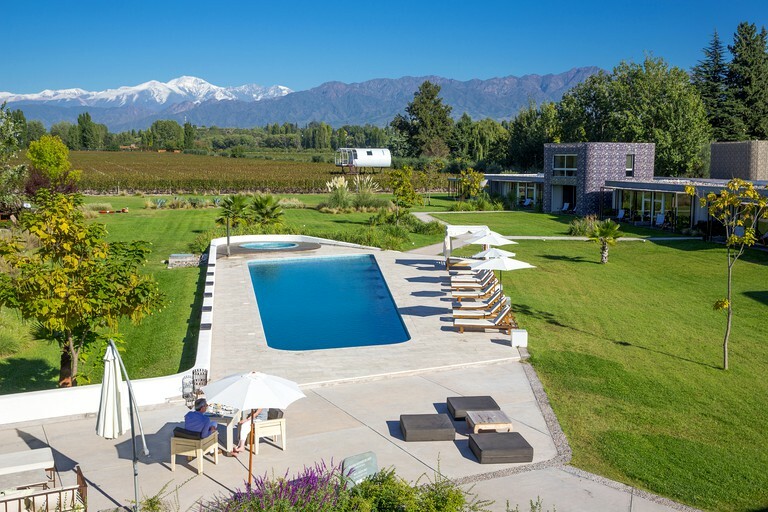 Guests will also have access to the sumptuous spa and hammam on the property, the first such six-stage facility in Latin America, to add to the atmosphere of luxury and comfort. 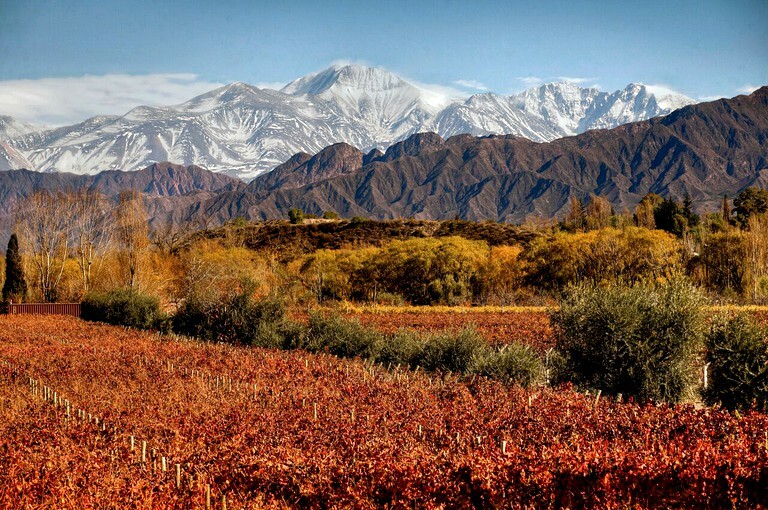 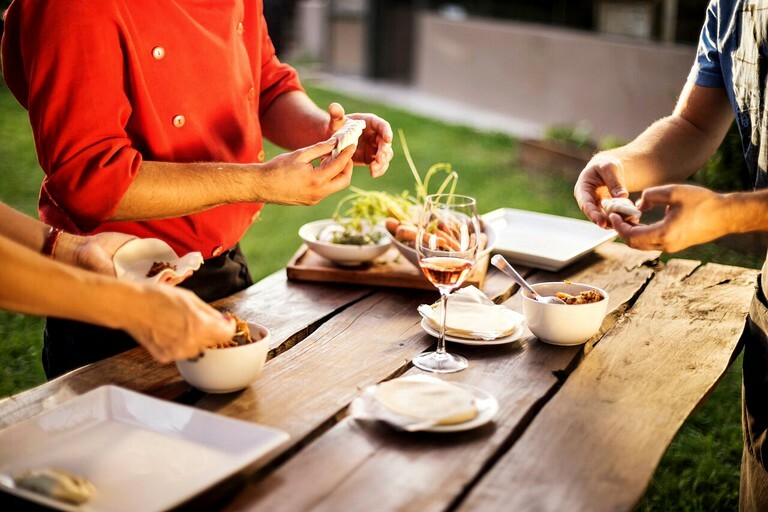 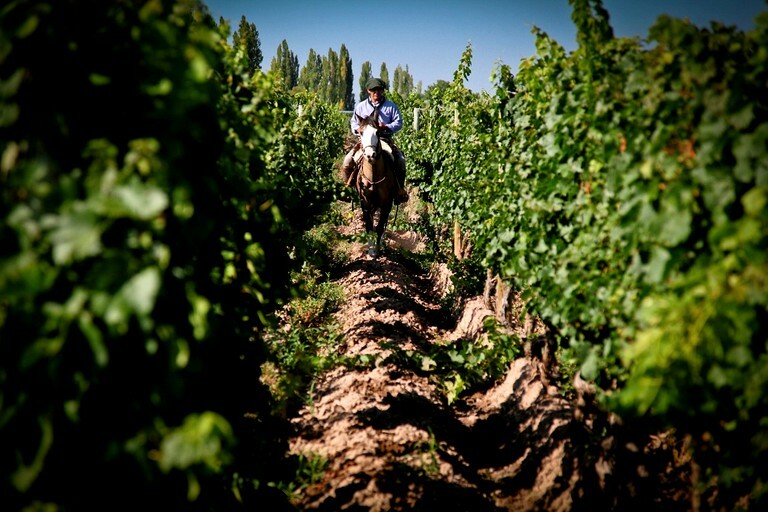 The winery that this property also runs produces some of the region's best Malbec, which glampers can also buy while staying here or sample at the hotel bistro or the restaurant offering beautiful Argentinian beef dishes. 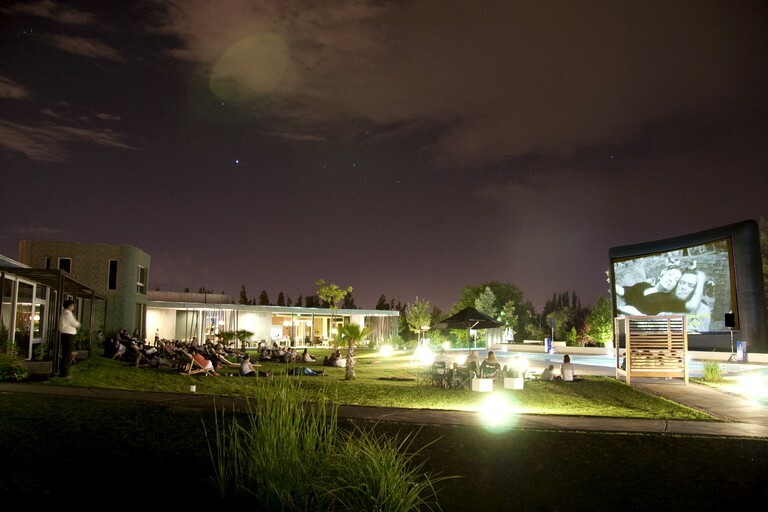 There are a complimentary breakfast and 24-hour reception featured at this property, as well as a laundry service. 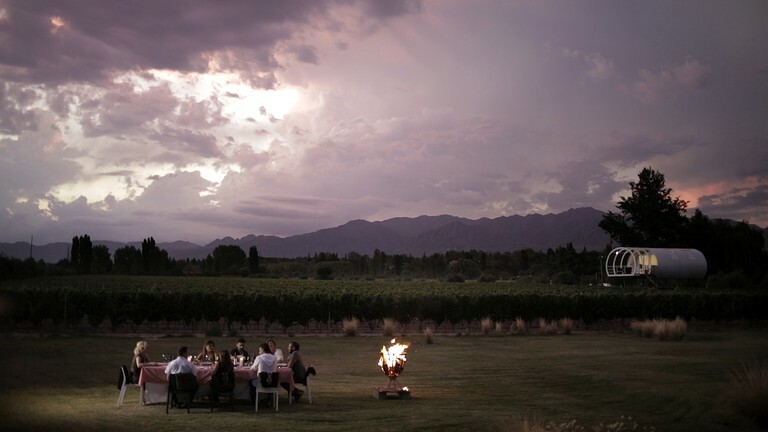 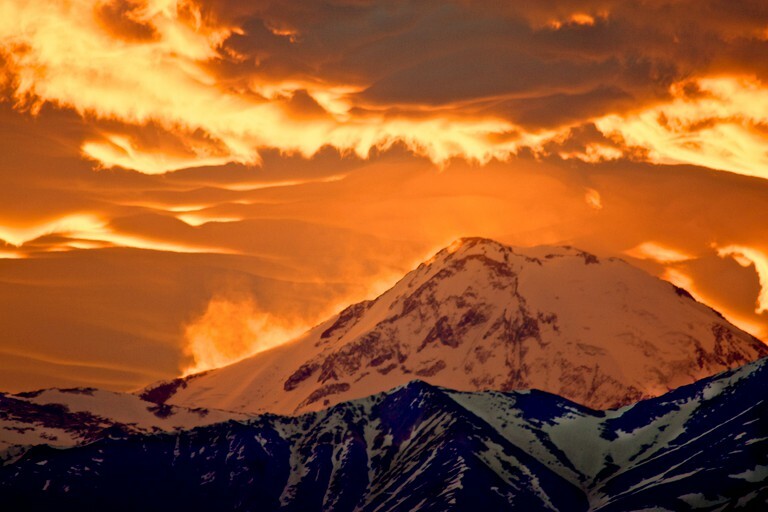 Just 30 minutes from the city center of Mendoza, this glamping site has a range of shopping, cultural, and dining options at its doorstep. 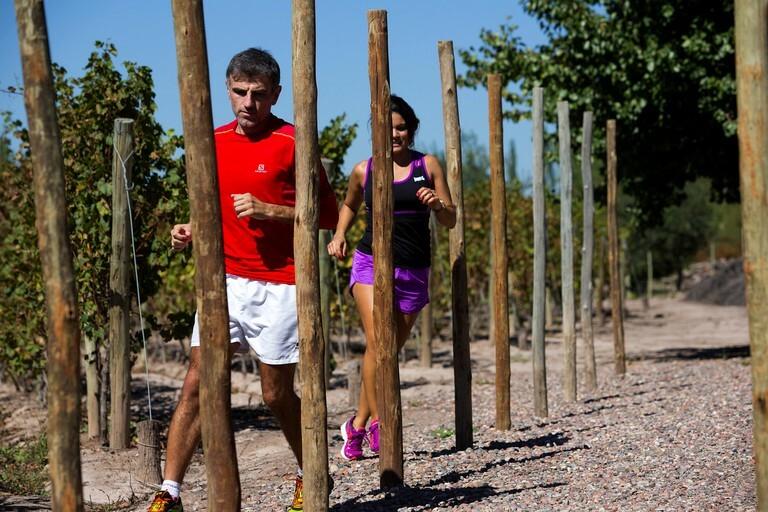 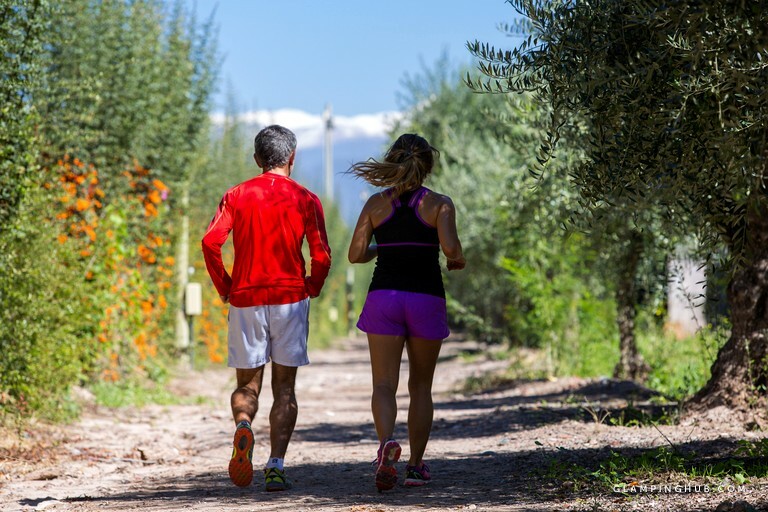 There are also eight acres of vineyards for glampers to explore when roaming the property's grounds, while the Andes Mountains in the near distance make for a great spot to enjoy a range of outdoor activities and adventure sports. 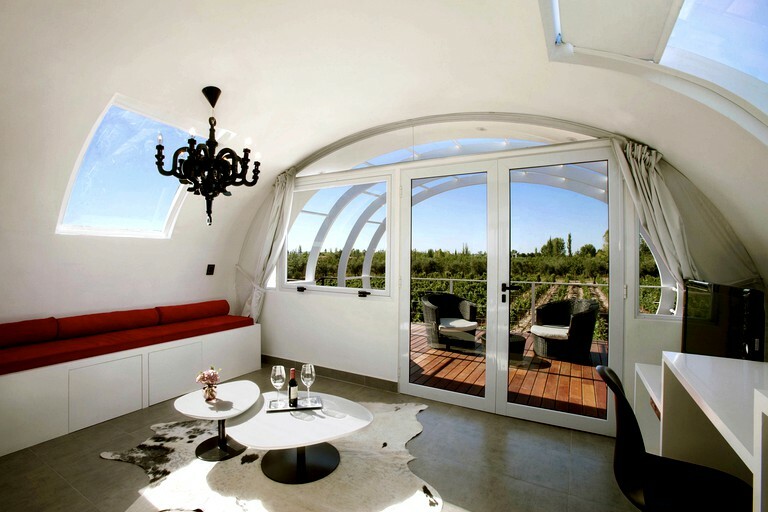 Alternatively, glampers can just sit back and relax in the on-site hammam spa, the outdoor pool, gym, or Jacuzzi.